Oops, I did it again – another set of Avon PJ’s, only my second pair but I’m sure there will be more. 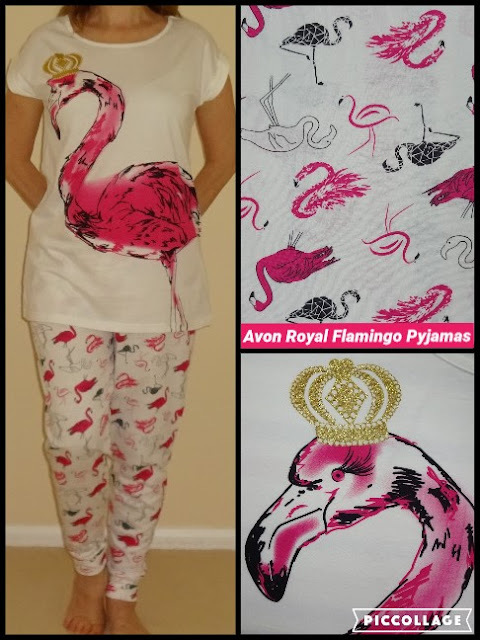 Flamingo designs and patterns are everywhere at the moment, so when I saw the Royal Flamingo PJ’s in the Avon brochure 8 (UK) I snapped them up straight away. How cute are they with the miniature birds on the bottoms and a large regal bird rocking her metallic gold crown on the top. The top is quite long, great for me as I have a long body. With a piped neckline and cuffed short sleeves for a smart finish. The jogger style bottoms are slightly baggy with cuffed ankles, they are roomy and not tight fitting like leggings. I love the assortment of mini flamingos on the bottoms, and there are matching pink fluffy slippers too! I’m 5’ 6” and wearing size 14/16 and in my opinion are true to size. 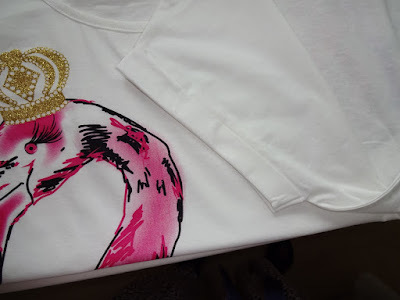 Made from 100% cotton, they are very comfortable, I feel a right royal bird wearing them! Oops, I did it again a second time, will I make it a third…..I already have!